Singapore has shot up by 12 places in a league table that ranks cities on opportunities for property investment. The index, launched last August, looks at factors such as retail sales, household income, adult population size and gross domestic product to determine how economically vibrant a city is. Singapore was ranked ninth, up from 21st last December, by asset manager Schroders, which compiles the index of 161 cities. 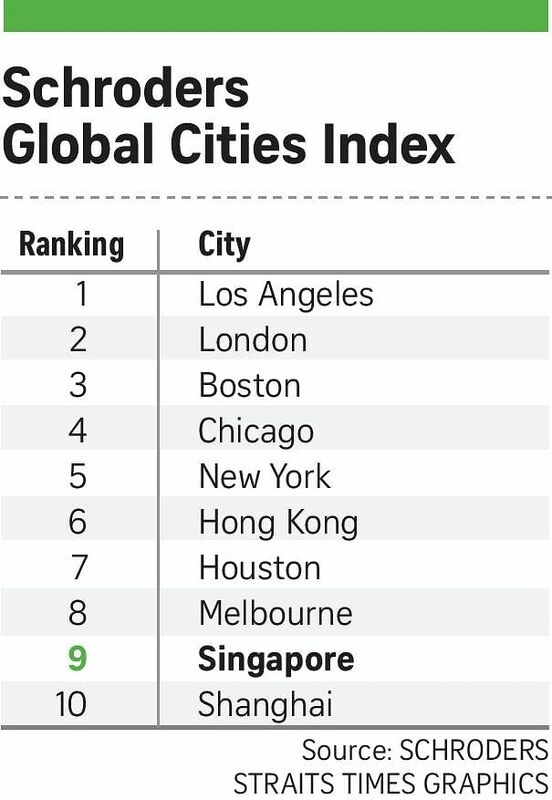 Los Angeles took the top spot, with London second, a move up from eighth place in December. 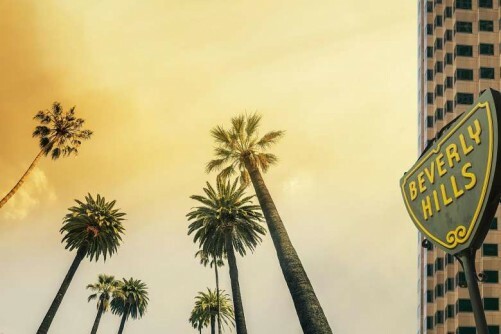 "One of the key strengths of Los Angeles' economy is that it is well-diversified across multiple industries, including financial services, media, trade and technology," said Mr Hugo Machin, co-head of global real estate securities at Schroders. "The technology sector, in particular, has grown substantially over the past few years, and this has not only boosted demand for office space but also for residential property, much of it due to the increased hiring of millennials." On London, he said the firm believes it "has a competitive advantage in location, language, scale, infrastructure and cultural diversity", adding: "If we add the global strength of its universities, London remains a favoured place to invest." Schroders said university rankings, which were taken into account this time for the first time, were the main reason behind changes in cities' positions. "Universities are critical in powering city economies. Innovation and education provide a better trained, more productive workforce. Knowledge-based hubs are growing in economic strength with a positive knock-on to real estate markets in those locations," Mr Machin noted. The new methodology gave a boost to US cities, which filled 16 of the top 30 slots. Boston, where the greater metropolitan area houses academic institutions such as Harvard University and the Massachusetts Institute of Technology, jumped from 24th to third place. But Chinese cities were hard hit, after taking four out of the top five spots in December last year. Beijing fell from pole position to 11th place, with Shanghai dropping from second place to 10th and Shenzhen plummeting from third to 24th. Tianjin, which came in fourth last year, is no longer in the top 30.